No one can do it alone, and neither can we. Get2Greater has partnered and worked with multiple different organizations to accomplish our goals, as well as theirs. A huge thank you to all the individuals and organizations who are working to make this project a success. The MAHAN Trust is on the field where it matters. They have personally worked for over 18 years to help better the lives of the people they serve. Penn State Lehigh Valley, through its innovative Launchbox program, has helped provide unparalleled funding, support, and credibility to the project. 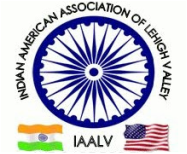 The Indian American Association of the Lehigh Valley has been critical to garnering support and managing funds throughout the course of this endeavor. Get2Greater strives to provide people with a chance at a new life by providing a technological solution to organizations working in developing countries.